Len Bosack and Sandy Lerner, a married couple who worked as computer operations staff members at Stanford University, later joined by Richard Troiano, founded Cisco Systems in 1984. Lerner moved on to direct computer services at Schlumberger, moving full time to Cisco in 1987. The name "Cisco" was derived from the city name, San Francisco, which is why the company's engineers insisted on using the lower case "cisco" in the early days. For Cisco's first product, Bosack adapted multiple-protocol router software originally written some years before by William Yeager, another Stanford employee who later joined Sun Microsystems. The company's first CEO was Bill Graves, who held the position from 1987 to 1988. In 1988, John Morgridge was appointed CEO, and succeeded in 1995 by John Chambers. While Cisco was not the first company to develop and sell a router, it was one of the first to sell commercially successful routers supporting multiple network protocols. As the Internet Protocol (IP) became widely adopted, the importance of multi-protocol routing declined. Today, Cisco's largest routers are primarily used to deliver IP packets. On February 16 1990, the company went public (with a market capitalization of $224 million) and was listed on the Nasdaq stock exchange. On August 28, 1990, Lerner was fired; upon hearing the news, Bosack resigned to show his support for her. Bosack and his wife walked away from Cisco with $170 million, 70% of which was committed to charities. The two later divorced. Cisco acquired a variety of companies to bring in products and talent into the company. In 1995-1996 the company completed 11 acquisitions. Several acquisitions, such as Stratacom, were the biggest deals in the industry when they occurred. During the Internet boom in 1999, the company acquired Cerent Corporation, a start-up company located in Petaluma, California, for about US$7 billion. It was the most expensive acquisition made by Cisco to date, and only the acquisition of Scientific Atlanta has been larger. Several acquired companies have grown into $1Bn+ business units for Cisco, including LAN switching, Enterprise Voice over Internet Protocol (VOIP), and home networking. Cisco acquired Linksys in 2003. In late March 2000, at the height of the dot-com boom, Cisco was the most valuable company in the world, with a market capitalization of more than US$500 billion. In July 2009, with a market cap of about US$108.03 billion, it is still one of the most valuable companies. The company was a 2002-03 recipient of the Ron Brown Award, a U.S. presidential honor to recognize companies "for the exemplary quality of their relationships with employees and communities". A class action lawsuit filed on April 20, 2001 accused Cisco of making misleading statements that "were relied on by purchasers of Cisco stock" and of insider trading. While Cisco denied all allegations in the suit, on August 18, 2006, Cisco's liability insurers, its directors, and officers paid the plaintiffs US$91.75 million to settle the suit. On December 11, 2008, the Free Software Foundation filed suit against Cisco regarding Cisco's failure to comply with the GPL and LGPL license models and make the applicable source code publicly available. On May 20, 2009, Cisco settled this lawsuit by complying with FSF licensing terms and making a monetary contribution to the FSF. In 2010, Cisco bought Starent Networks, a mobile technology company and Moto Development Group, a product design consulting firm that helped develop Cisco's Flip video camera. Also in 2010, Cisco was a key stakeholder in e-Skills Week. The Company has built its Globalization Centre East in Bangalore for $1 billion and 20% of Cisco's leaders will be based there. In March 2011, Cisco completed the acquisition of privately held network configuration and change management solutions company Pari Networks. On April 12 2011, Cisco announced they were discontinuing all Flip camera production. It will no longer carry the making of Flip cameras. Cisco’s current portfolio of products and services are focussed around three market segments – Enterprise and Service Provider, Small Business and the Home. The solutions for each market are segmented into Architectures, which form the basis for how Cisco approaches each market. Borderless networks: for their range of routers, switches, wireless systems, security systems, WAN acceleration, energy and building management systems and media aware networks. IP NGN (Next Generation Networks): High-end routing and switching for fixed and mobile service provider networks, broadcast video contribution/distribution, entitlement and content delivery systems. Security and surveilance: IP cameras, data and network security solutions etc. Under these architectures, Cisco intends to gradually knit together its various products, and introduce new products and features in order to provide a complete set of capabilities in each area. 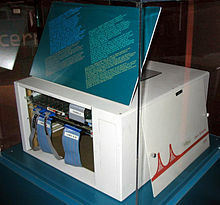 A Cisco ASM/2-32EM router deployed at CERN in 1987. Cisco became a major provider of Voice over IP to enterprises, and is now moving into the home user market through its acquisitions of Scientific Atlanta and Linksys. Scientific Atlanta provides VoIP equipment to cable service providers such as Time Warner, Cablevision, Rogers Communications, UPC, and others; Linksys has partnered with companies such as Skype and Yahoo to integrate consumer VoIP services with wireless and cordless phones. Cisco partners can now offer cloud-based services based on Cisco’s virtualized Unified Computing System (UCS). A part of the Cisco Unified Services Delivery Solution, it will include hosted versions of Cisco Unified Communications Manager (UCM), Cisco Unified Contact Center, Cisco Unified Mobility, Cisco Unified Presence, Cisco Unity Connection (unified messaging), and Cisco Webex Meeting Center. Cisco Systems also sponsors a line of IT Professional certifications for Cisco products. There are five levels of certification: Entry, Associate, Professional, Expert, and recently Architect, as well as eight different paths, Routing & Switching, Design, Network Security, Service Provider, the newly introduced Service Provider Operations, Storage Networking, Voice, and Wireless. Cisco has been criticized for its involvement in censorship in the People's Republic of China. According to author Ethan Gutmann, Cisco and other telecommunications equipment providers supplied the Chinese government with surveillance and Internet infrastructure equipment that is used to block Internet websites and track Chinese on-line activities. Cisco says that it does not customize or develop specialized or unique filtering capabilities to enable governments to block access to information and that it sells the same equipment in China as it sells worldwide. On October 16, 2007, the Brazilian Federal Police and Brazilian Receita Federal (equivalent to the American IRS) under the "Persona Operation" uncovered an alleged tax fraud scheme employed by Cisco Systems since 2002 that exempted the company from paying over R$1.5 billion (US$824 million) in taxes. On December 1, 2008, Multiven filed an antitrust lawsuit against Cisco Systems, Inc. in an effort to open up the network maintenance services marketplace for Cisco equipment, promote competition and ensure consumer choice and value. Multiven’s complaint alleges that Cisco harmed Multiven and consumers by bundling and tying bug fixes/patches and updates for its operating system software to its maintenance services (SMARTnet) and through a series of other illegal exclusionary and anticompetitive acts designed to maintain Cisco’s alleged monopoly in the network maintenance services market for Cisco networking equipment. ^ "A special report on innovation in emerging markets: The world turned upside down". The Economist. 2010-04-15. http://www.economist.com/opinion/displaystory.cfm?story_id=15879369. Retrieved 2010-08-14. ^ a b c d e "Cisco Fiscal Year 2009 Earnings". Cisco Systems. 2009-07-27. http://newsroom.cisco.com/dlls/2009/fin_080509.html. Retrieved 2009-07-27. ^ "News@Cisco -> Corporate Overview". Cisco Systems. http://newsroom.cisco.com/dlls/corpinfo/corporate_overview.html. Retrieved 2010-10-15. ^ Browning, E.S. (2009-06-01). "Travelers, Cisco Replace Citi, GM in Dow". Wall Street Journal (Dow Jones & Company, Inc). http://online.wsj.com/article/SB124386244318072033.html. Retrieved 2009-06-02. ^ "Cisco's Acquisition Strategy". Case Studies In Business Strategy (ICMR) IV: 2. January 2004. BSTR083. http://www.icmrindia.org/casestudies/catalogue/Business%20Strategy2/BSTR083.htm. Retrieved 21 December 2009. ^ "I, Cringely. NerdTV. Transcript | PBS". Pbs.org. http://www.pbs.org/cringely/nerdtv/transcripts/013.html. Retrieved 2008-11-13. ^ Cisco claim of first multi-protocol router. Interview. The Evolution of Access Routing. June 14, 2004. Retrieved on 2009-01-04. ^ Garza, George (Jan 9, 2011). "The History of Cisco". http://www.brighthub.com/computing/enterprise-security/articles/65663.aspx. Retrieved Jan 28, 2011. ^ "Cisco pushes past Microsoft in market value". CBS Marketwatch. 2000-03-25. http://www.marketwatch.com/news/story/cisco-pushes-past-microsoft-market/story.aspx?guid=%7BFA6BADEF%2D05F2%2D4169%2DADDA%2D12E9D17C4433%7D. Retrieved 2007-01-25. ^ "Cisco replaces Microsoft as world's most valuable company". Reuters (The Indian Express). 2000-03-25. http://www.expressindia.com/ie/daily/20000326/ibu26043.html. Retrieved 2007-01-25. ^ Fost, Dan (2006-05-05). "Chron 200 Market capitalization". San Francisco Chronicle. http://www.sfgate.com/cgi-bin/article.cgi?f=/c/a/2006/05/05/BUC200MARKETCAP.DTL. Retrieved 2007-01-25. ^ Cisco Systems, Inc. (2006-08-18). "Cisco Shareholder Class Action Lawsuit Resolved". Press release. http://newsroom.cisco.com/dlls/2006/corp_081806.html. Retrieved 2007-01-25. ^ "Cisco resolves class action lawsuit". Silicon Valley/San Jose Business Journal. 2006-08-18. http://sanjose.bizjournals.com/sanjose/stories/2006/08/14/daily75.html. Retrieved 2007-01-25. ^ Free Software Foundation (December 11, 2008). "Free Software Foundation Files Suit Against Cisco For GPL Violations". Press release. http://www.fsf.org/news/2008-12-cisco-suit. Retrieved 2009-01-04. ^ Free Software Foundation (May 20, 2009). "FSF Settles Suit Against Cisco". Press release. http://www.fsf.org/news/2009-05-cisco-settlement.html. Retrieved 2009-05-20. ^ By Jim Duffy, NetworkWorld. "Cisco Buys Moto – no, not that Moto." May 18, 2010. ^ "The other elephant". The Economist. 2010-11-04. http://www.economist.com/node/17414206. ^ "Cisco Completes Acquisition Of Pari Networks (Started By Former Cisco Execs)". TechCrunch. 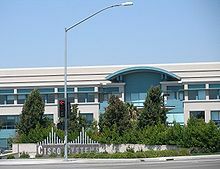 March 1, 2011. http://www.techcrunchit.com/2011/03/02/cisco-completes-acquisition-of-pari-networks-started-by-former-cisco-execs/. ^ "Catholic Online Statement about Flip Camera". CatholicOnline. March 13, 2011. http://www.catholic.org/technology/story.php?id=41037. ^ ""World According to Jon" video about discontinuation". Jon Paula. March 12, 2011. http://www.youtube.com/watch?v=SVhxp4F_qD8. ^ "Cisco Launches Hosted Collaboration Solution". UCStrategies.com. 2010-07-02. http://www.ucstrategies.com/news-analysis/cisco-launches-hosted-collaboration-solution.aspx. ^ "FRONTLINE: the tank man: the struggle to control information | PBS". Pbs.org. http://www.pbs.org/wgbh/pages/frontline/tankman/internet/. Retrieved 2008-11-13. ^ Earnhardt, John (2006-02-15). "Cisco Testimony Before House International Relations Subcommittee". Cisco Systems, Inc.. Archived from the original on 2006-12-06. http://web.archive.org/web/20061206095153/http://blogs.cisco.com/gov/2006/02/cisco_testimony_before_house_i.html. Retrieved 2007-01-25. ^ Stirland, Sarah (2008-05-20). "Cisco Leak: ‘Great Firewall’ of China Was a Chance to Sell More Routers". http://www.wired.com/threatlevel/2008/05/leaked-cisco-do/. Retrieved 2009-06-27. ^ "Cisco offices raided, executives arrested in Brazil: reports". NetworkWorld. 2007-10-16. http://www.networkworld.com/news/2007/101607-cisco-brazil-arrests.html?page=1. Retrieved 2007-10-16. ^ International Herald Tribune (2007-10-17). "Brazilian tax authorities raid, close Cisco System's offices in Sao Paulo, Rio de Janeiro". Press release. http://www.iht.com/articles/ap/2007/10/17/business/LA-FIN-Brazil-Cisco.php. Retrieved 2007-10-17. ^ "Multiven Sues Cisco". lightreading. 2008-12-01. http://www.lightreading.com/document.asp?doc_id=168775. Retrieved 2008-12-02. ^ "Net maintenance provider sues Cisco over allegedly monopolistic SMARTnet". NetworkWorld.. 2008-12-01. http://www.networkworld.com/community/node/35852. Retrieved 2008-12-02. ^ "Cisco Accused Of Monopoly In Antitrust Lawsuit". ChannelWeb. 2008-12-02. http://www.crn.com/networking/212201523. Retrieved 2008-12-02. ^ Multiven, Inc. (2008-12-01). "Multiven Files Antitrust Lawsuit Against Cisco Systems, Inc.". Press release. http://multiven.com/news?article_id=12. Retrieved 2008-12-01. ^ "Cisco Systems hit with antitrust lawsuit". SearchITChannel. 2008-12-04. http://searchitchannel.techtarget.com/news/article/0,289142,sid96_gci1341067,00.html?track=sy540. Retrieved 2008-12-04. ^ "Lawsuit: Cisco blocks outsider gear maintenance". fiercetelecom. 2008-12-03. http://www.fiercetelecom.com/story/lawsuit-cisco-blocks-outsider-gear-maintenance/2008-12-03. Retrieved 2008-12-03. This page was last modified on 3 May 2011 at 02:15.